Bhavishyavani Crew joins the bill at the country’s most awaited music festival. 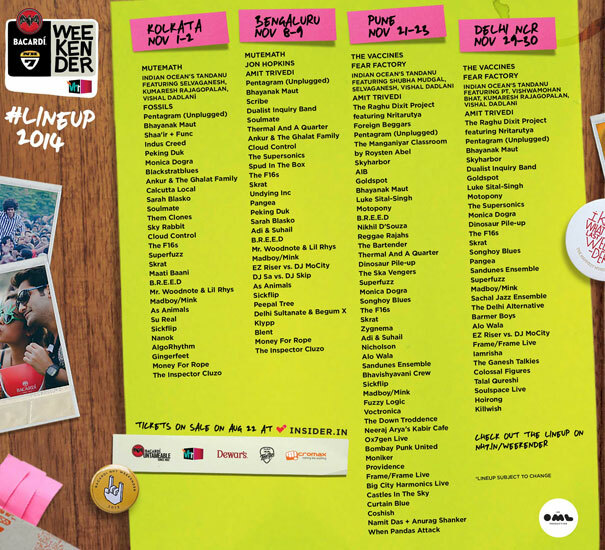 The Bacardi NH7 Weekender, India’s only traveling multi-genre music festival a la the famous Lollapalooza in Chicago (and also referred to as India’s answer Glastonbury by The Guardian in recent times) will take place in Pune, Bangalore, Delhi and Kolkata over four weekends in November this year. In the past, the festival has seen performances by some of the biggest acts in the world across popular and left-of-center music genres. Some of the varied performers that have graced the festival’s lineup include Seun Kuti & Egypt 80, Simian Mobile Disco, Imogen Heap, Hexstatic, Buraka Som Sistema, Foreign Beggars, j.viewz, Rob Garza (Thievery Corporation), Jahcoozi, Rob da Bank, Martina Topley Bird, Asian Dub Foundation, and at least a couple hundred more from India and around the world. 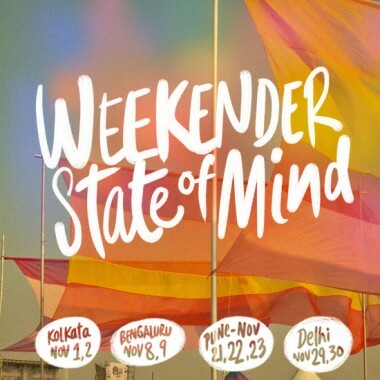 2014’s lineup will see producer Jon Hopkins, The Vaccines, The Inspector Cluzo, Luke Sital Singh, MUTEMATH, Skyharbor, Alo Wala, some Bacardi NH7 Weekender vets in brand new live ensembles, and for the first time since the festival’s inception, the Bhavishyavani Crew (at the festival’s Pune edition from November 21-23). Slot times coming soon. Buy tickets here. Lineup below, more names to be added later.